Getting around Florence has never been easy. Aside from the traffic, there is the huge problem of the ztl (limited traffic zone) that prohibits automobiles from entering the historic city center of Florence. Then there's the big problem of parking - it's extremely expensive and spaces are hard to find. 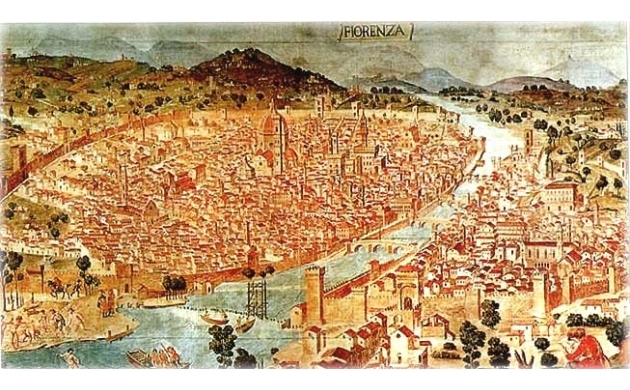 For this reason, many tourists that come to Florence choose to get around by foot or on bicycle, perhaps taking public transport or the occasional taxi. But in the last few years a new service has arrived that promises to change the prospects for transport in the city: car sharing. Thanks to this new arrival it's now possible to take a car from one of the available companies, use it to get around the city, park it once you get to your destination, and then leave to do whatever it is that you set out to do. It's not necessary to return the car to it's original location, and to get back home it's possible to choose a different car altogether. In Florence there are now two car sharing services: Car2Go and Enjoy. Today we'd like to take a look at these two companies, examining their differences so that you can make the best selection depending upon your particular needs. In order to use the car sharing services it's necessary to sign up and register. With Car2Go you must bring your required documentation to a Car2Go help center and pay the 19 euros registration fee. With Enjoy, on the other hand, the registration is all online and is completely free. WHICH DRIVERS LICENSES ARE ACCEPTED? Enjoy accepts licenses from the following countries: Austria, Belgium, France, Germany, Netherlands, Portugal, UK, Spain, Switzerland, Russia and USA. 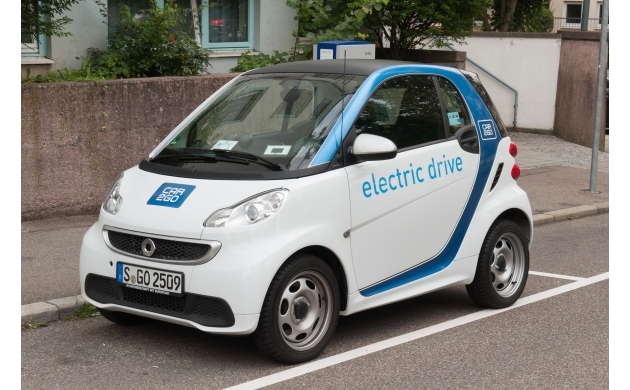 Car2Go accepts licenses from the UE/SEE and those coming from Switzerland. For licenses from other countries you can still use the service, but you need either an international driving license or a sworn translation of your regular license. Both services work in the same way. You go on the company website (or on their smartphone or tablet apps), you then choose the zone of Florence in which you'd like to pick up your car, reserve it, and then head out to pick it up. Alternatively, you can just find one of the cars on the street if it's available (and hasn't been reserved by someone else). HOW LONG DOES THE RESERVATION LAST? With Enjoy you've got 90 minutes to pick up your car before the reservation is cancelled by the system. The first 15 minutes after you've made your reservation are free, while the remaining 75 minutes get charged 0.10 euros per minute. With Car2Go you've got 30 minutes to reach your vehicle without any cost. This is an important question because each company offers a different type of vehicle from the other. On the one side there's Car2Go which has the Smart Fortwo suitable for 2 passengers, while on the other side there's Enjoy which offers the Fiat 500 and the Fiat 500L with four or five seats. DO YOU HAVE ANIMALS WITH YOU? It's important to know, because with Enjoy you can't bring animals in the car, while with Car2Go you can take your pet as long as it's in a cage. With both companies you can park the vehicle within any of the marked blue spaces in the metropolitan area of the city, free of cost. Enjoy also offers the possibility to park in some spots reserved at Eni gas stations. 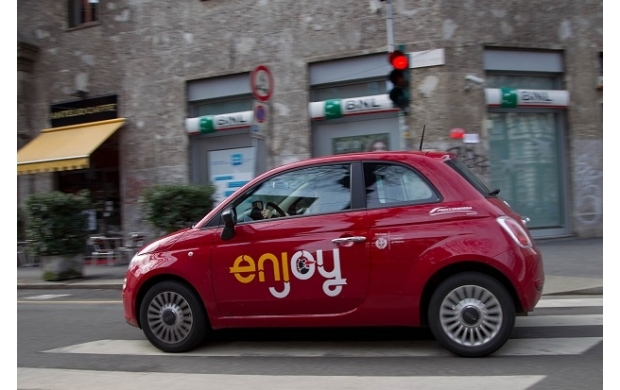 Enjoy has a rate of 0.25 euros per minute during the first 50 km of any trip. Over the first 50km there is also a km charge which is in addition to the standard minute rate: so above the 0.25 euros per minute you also pay 0.25 euros per km. Otherwise you can opt for a daily rate which is 60.00 euros for a full day and includes 50 km, after which there is a kilometer charge of 0.25 euros/km for whatever you drive above the first 50. Car2Go on the other hand costs 0.29 cents per minute for the first 50 km. Beyond the first 50 km, then is then the additional km charge of 0.29 euros/km in additional to the per minute rate. You can also opt for the daily fee of 59.00 euros, which then costs 14.90 euros per hour, and a charge of 0.25 euros for every kilometer over 50. WOULD YOU LIKE THE VEHICLE TO WAIT FOR YOU? With both services you can "block" the vehicle the moment you leave it, just so that you can find it in the same spot once you return from whatever it is you were doing. This service costs 0.10 euros per minute with Enjoy and 0.29 with Car2Go. Absolutely not! The cost of gasoline is included in the price. But in the event you find your vehicle without gas you can simply fill it up at any of the authorized distributors of the respective companies. Car2Go also offers you 10 free minutes of driving if you fill up a vehicle that has less than 25% in the tank. Today we've decided not to talk about diesel or gas engines, or automatic versus manual transmissions. We've also chosen to ignore driving performance and other things such as audio systems, bonuses and discounts. Now it' up to you to decide: Car2Go or Enjoy?